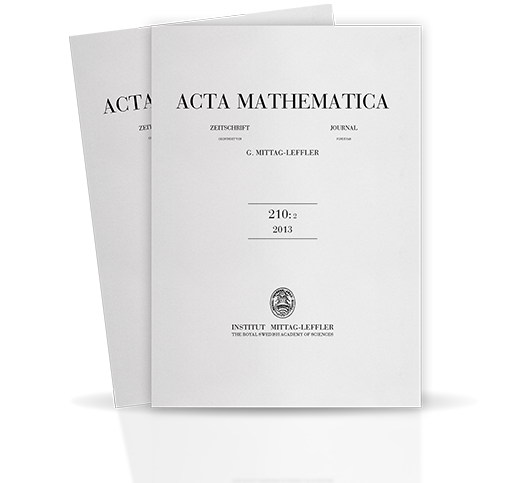 Acta Mathematica was founded by Gösta Mittag-Leffler in 1882 and is published by Institut Mittag-Leffler. Ever since the start it has been one of the most prestigious mathematics journals in the world. From 2017 the full text of all articles, old and new, is freely available online. Acta Mathematica contains original research papers of the highest quality in all fields of mathematics. Two volumes, consisting of two issues each, are published annually, in all about 800 pages (since 2011).